The hut was in darkness apart from stray sunbeams penetrating cracks in this door or the boarded-up windows. Twice a day, men in uniform delivered basic food shoving it roughly into the centre of the room while others watching from the guarded door laughed as hungry women fought each other for whatever they could grab. Hajar had been taken under her wing by one of the women who appeared to be recognized as in charge. Occasionally the one in charge of a soldier party would pull one of the younger attractive women out with them and she’d be gone for some time before being returned thrown in a heap and the door padlocked behind them. There’d be whispered conversations and attempts to comfort. The woman sheltering Hajar would shout insults after the retreating soldiers and they’d laugh loudly in return. Sometimes an unfortunate woman pulled out would never return. This had been her life for much of the time Hajar could remember. The original occupiers of the hut had diminished over time, most of the women remaining were older women. There were two occasions when a soldier would reach for the child only to be resisted strongly by the women collectively. The soldier would leave the child under that combined resistance but show his anger bludgeoning the nearest woman and dragging another with him. The older women knew their time would eventually come, but they were resolved to protect the child for as long as they could. Weeks dragged on in this way, then one day new sounds could be heard outside the hut. These were not the sounds of revving vehicles and ammunition being fired into the air as soldiers shouted their fervour. There were distant rumbles and sounds of increasing activity in camp. Sometimes the ground under the hut would send faint tremors through the hut. Day by day the noise grew louder and ground tremors stronger. Then one day there was a scream coming from the sky followed by a loud explosion. This was followed by a series of explosions in camp rapid gunfire along with the whoosh of ground to air missiles. After one of the explosions a portion of their hut wall crumbled filling the air with dust and smoke while terrified women huddled together in the corner coughing. In the temporary lull that followed the padlock was removed and the door flung open. One of the guards fired several rounds into the roof of their hut while terrified women screamed. He shouted for them to come out and be careful not to try escaping or they’d be killed. The women shielded their eyes from the sun not used to being outside and were prodded toward a waiting truck. They were roughly pulled up into the truck by a guard and the truck joined a convey headed out into the desert where they had other camouflaged settlements waiting for them. Hajar now accustomed to the sunlight peered out the back of the truck. In the receding distance she could see smoke rising from the abandoned camp. But they were more vulnerable now vehicles were no longer under camouflage shelters and it was not long before a familiar scream could be heard in the air. Looking up she could see three objects like birds in the distance rapidly coming into view. Then one by one there were explosions. The cabin of their truck was engulfed in flames and women closest to the cabin fell to the floor wounded or dead. The guard shouted a rallying cry and leaped out pointing his weapon vainly at the circling planes. Then seeing his surviving companions heading for a dry riverbed he rushed to join them. There was another blinding flash, and most were flung in the air dead. Three remaining made it to the riverbed and took aim with their automatic weapons vainly shooting at planes far out of reach. They waited for night to come planning to head for another known camp but far into the distance where they were planning on escaping there were flashes on the horizon followed by billowing smoke. They were now resolved to stay and die fighting for their cause. Little did they know they were being observed by a drone in the sky until it was too late. A launch from the drone finished them. The women still alive waited shaking. Those who’d been able to jump from the burning truck stood huddled together at a distance watching the convey burn and wondering what to do. One hour later they noticed several vehicles in the distance while the drone sat overhead watching. They rapidly advanced and soldiers in different uniform speaking a language the women failed to understand leaped out to cautiously inspect unburned portions of each of their tormentor’s vehicles and inspect the riverbed. Good, the drone had recorded accurately! One of the soldiers spoke to the women in Arabic and they headed for a truck indicated. They were driven for two hours back through camps now occupied by their saviours and into a refugee settlement where they were medically examined then lodged in barracks where there were no locks on doors. Food was brought to them and it was indicated they were free to leave their barracks but not to leave the refugee camp for their own protection. The exhausted women fell into a deep sleep only wakened late next morning to be served more food, this time in a tent serving as temporary dining before they were shipped further into safer territory. The women followed instructions mechanically still not able to comprehend they were now free after their terrible month-long ordeal. But they were not free. Husbands and children were no longer traceable and considered to be collateral damage as the result of this senseless war. Their original homes had been reduced to rubble in battles back and forth. They were now the flotsam and jetsam in a sea of humanity with no future drifting with the tides and totally reliant for their daily sustenance on the charity of a largely apathetic prosperous world. Hajar attended schools provided by the minority who did care in one refugee camp after another, but she was a quick learner coming quickly to the notice of a French husband and wife doctor team who cared for her like one of their own. She slowly became fluent in their language accepting them as her adopted parents. It took many years but eventually they were able to adopt her and return to France where she grew up determined to follow in the footsteps of her adopted parents complete medical studies and join the ranks of those dedicated to serving the less fortunate. She is proud of her heritage and thankful for kind foreigners who plucked her from the hopelessness of refugee camps giving her a chance to grow and continue the work modelled to her by her French benefactors. One of my professors in college during college days once remarked in class we are more concerned about a small cut on our finger than we are about the pain and suffering of the vast majority of disadvantaged and disenfranchised people around the world. In hindsight it seems he was correct Jane. I’ve never forgotten what he said. Yes we do have responsibility for those less fortunate. It’s difficult to know how to deal effectively with the problem though. 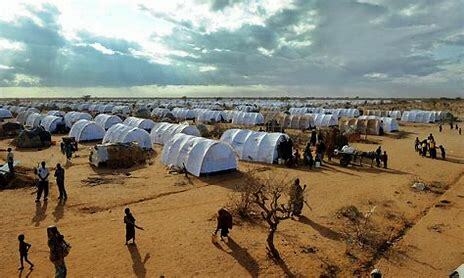 I personally feel the best way to deal with the root cause of migration is to educate and finance ways and means to help people in their own country and culture to help themselves. I’ve worked with development agencies who do that. Only as a last resort should a society attempt to absorb mass migration as the clash of cultures is detrimental to both those who enter and those who receive. The Europeans did that and it has resulted in right wing extremism which is just as dangerous as terrorism. Even though I believe migrants should be examined carefully to see they will not be a danger to citizens of a country before being let in I equally believe every human being should be treated kindly. We humans have not had a good record in doing that have we? I personally subscribe to the Christian belief there is a better world to look forward to where our thinking will be changed and every individual will be treated with kindness and respect. 🙂 I look forward to that. Thank you for this narrative with its unique happy conclusion. War is always cruel and children the ones who suffer most. I find it especially sad when hostages and non combatant fall under the fire of their deliverers – such irony. Jane I’m still working my way through the changes WordPress has made to the comment section. Yes the vast majority of this world’s population just want to get on with their lives and have common wishes in life. They want food, shelter and clothing for self and families and then self-actualization. Now some few with an axe to grind want to force their ideology on the rest and its not only religion I’m talking about. It always boils down to we want power and we want to exploit you to get it. Usually its put in a way that everyone will benefit when they are in power. Never works that way. On the international scale it leads to war. We the common herd are suckers to let them get away with it. Ian, I am afraid that this ‘story’ may be nicer than truth. I totally agree with you. Thank you for spreading the word. Reblogged this on SUSAN'S SPACE. The story might be fictional but definitely draws from real-life tragedies that unfold in many parts of the world today. The causes and solutions are complex and the players almost always lurking in the shadows. Ultimately, ordinary people are pawns in power struggles. Sad is such an inadequate word.